This past Saturday we went bowling; I'm still feeling the effects of hurling that 7 lb ball! It was worth it though, and we had a great time. 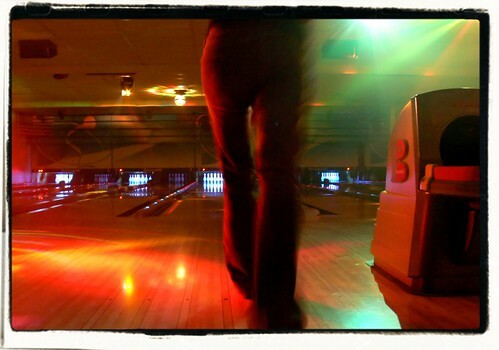 Isn't this a great photo that Cody got from our disco bowling excursion?! I tweaked it a little, but as far as the composition it was all him...........he also got a few other photos with out the lights that showcase my bowling form. They are pretty funny!